Lawyer, Lieutenant-Governor of Manitoba (1965-1970). Born at Winnipeg on 16 November 1912, son of dentist Manly Bowles (1875-1946) and Florence Mae Spink (1884-1958), grandson of Samuel Spink, he was educated Kelvin High School and the University of Manitoba (BA 1933, LLB 1937). He practiced law from 1937 to 1965, establishing his own law firm in 1940, and was appointed a Queen’s Counsel in 1955. 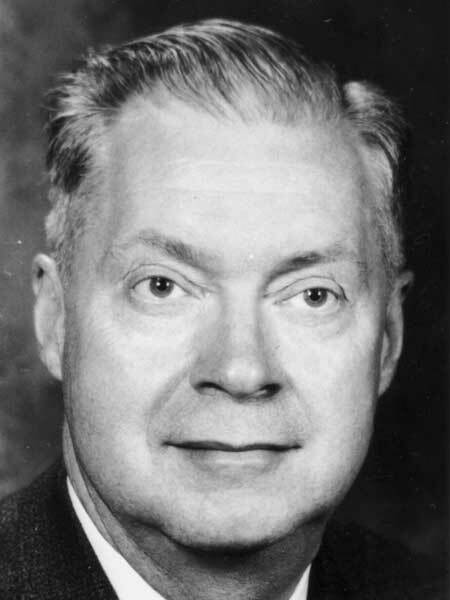 He was the first President of the Winnipeg Home and School Association (1952), a member of the Winnipeg Board of Parks and Recreation (1953-1957), President of the Manitoba Bar Association (1961) and of the Law Society of Manitoba (1964-1965). He served as a member of the Welfare Planning Council and President of the United Way. He was a Liberal candidate for the Lisgar constituency in the 1972 federal general election but was defeated by Jack Murta. He was made a Knight of the Order of St. John of Jerusalem. He received honorary degrees from the University of Manitoba (1968) and the University of Winnipeg, and he received the Manitoba Centennial Medal from the Manitoba Historical Society (1970), Good Citizenship Award (1971), Queen Elizabeth II Silver Jubilee Medal (1977), and a Hall of Fame Award from the Red River Valley Historical Society. He returned to private law practice following his term of office as Lieutenant-Governor, serving also as Chancellor of the University of Manitoba (1974-1977). He died at his Winnipeg home, 928 Wellington Crescent, on 9 July 1988 and was buried in the Union Point Cemetery. “Former Lieutenant-Governor dies at 75 after lengthy illness,” Winnipeg Free Press, 10 July 1988, page 2. Obituary, Winnipeg Free Press, 11 July 1988, page 25. We thank Susan Bracken and Sheldon Bowles for providing additional information used here.